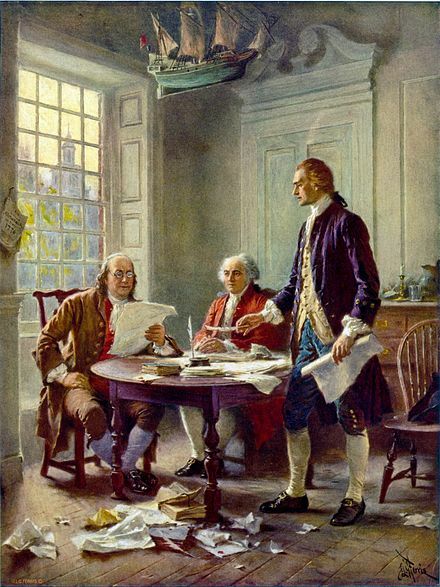 Most people in the English-speaking world know that today marks the anniversary of the adoption of the Declaration of Independence by the Second Continental Congress meeting at the Pennsylvania State House (now known as Independence Hall) in Philadelphia on July 4th, 1776. 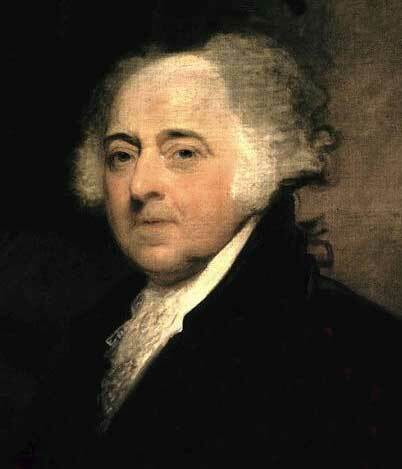 What very few people know is that two signers of the document, John Adams (2nd president of the United States), and Thomas Jefferson (3rd president of the United States), died on this date, exactly 50 years later in 1826. That really is some coincidence. Once again I will take this opportunity to point out the huge gulf between people’s perceptions of “important” anniversaries, and the reality. As I have been at great pains to show in several previous posts, July 4th, 1776 cannot truly be said to be the most momentous date in the long journey of the 13 British colonies to independence. Not by a country mile. But, because the date has been adopted and enshrined as the “nation’s birthday” the events of that date have assumed a much larger significance than they deserve. War broke out between one of the British colonies and British forces on April 19th, 1775 at the battles of Concord and Lexington http://www.bookofdaystales.com/lexington-and-concord/, and the War of Independence that these battles started was not concluded until the surrender at Yorktown http://www.bookofdaystales.com/surrender-at-yorktown/ on October 19th, 1781. 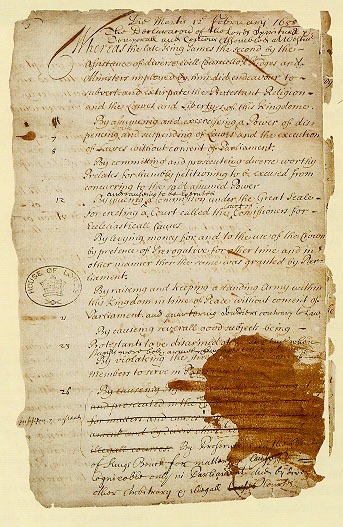 The Treaty of Paris http://www.bookofdaystales.com/treaty-of-paris/ that finalized the terms of peace between the North American States and Great Britain was signed on September 3rd, 1783. 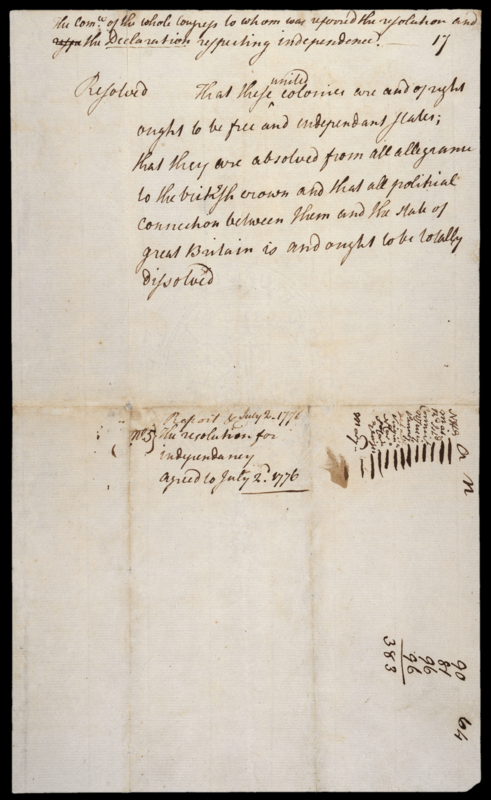 In strictly historical terms, these three dates are much more important than July 4th, 1776. In fact, in July 1776, the members of the Continental Congress imagined that July 2nd would go down in history as the vital anniversary, not the 4th. 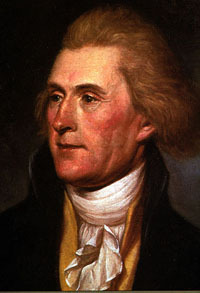 Richard Henry Lee of Virginia proposed a Resolution of Independence to Congress on June 7th, 1776 after receiving instructions from the Virginia Convention and its President Edmund Pendleton. Lee’s full resolution had three parts which were considered by Congress. Along with the independence issue, it also proposed to establish a plan for implementing formal foreign relations between the states and other nations independent of Great Britain, and to prepare a plan of a confederation for the states to consider. Congress decided to address each of these three parts separately. 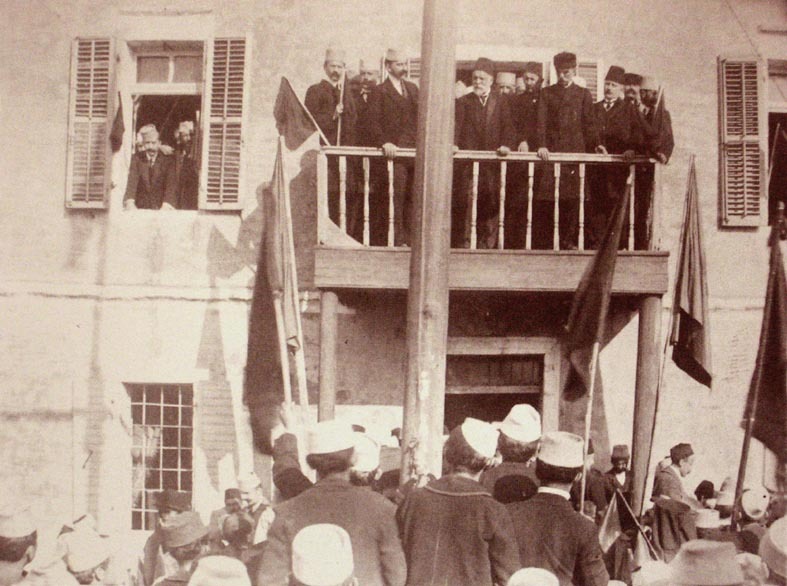 Voting on the first part of the resolution was delayed for several weeks while state support and legislative instruction for independence were consolidated, but the press of events forced the other less-discussed parts to proceed immediately. 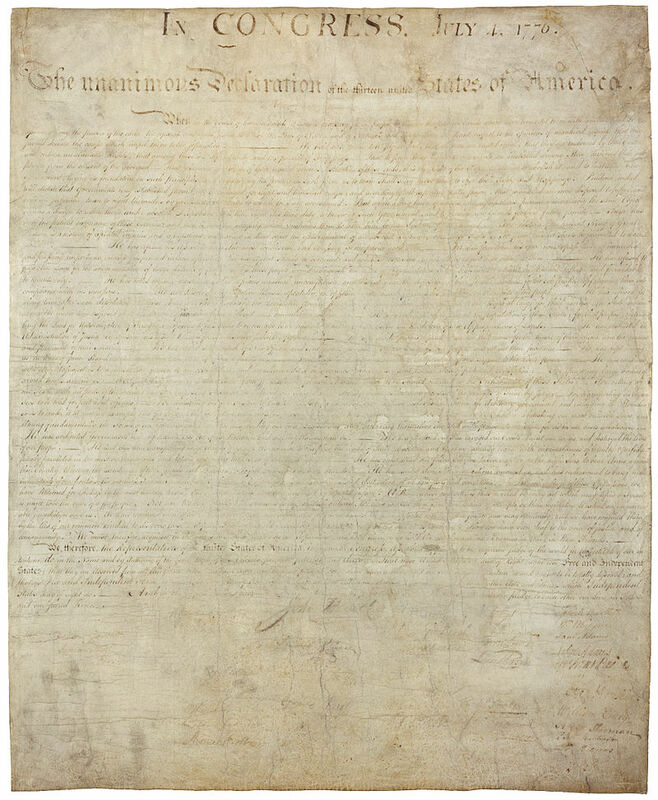 On June 10th, Congress decided to form a committee to draft a declaration of independence in case the resolution should pass. 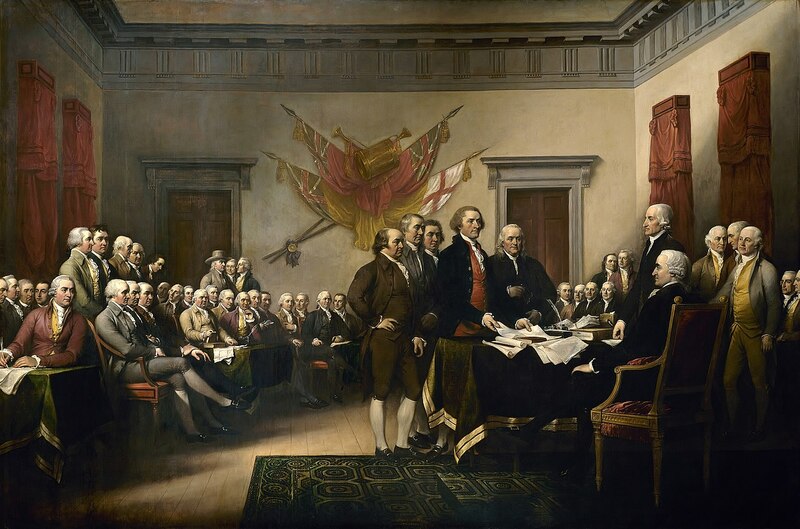 On June 11th, John Adams, Thomas Jefferson, Benjamin Franklin, Roger Sherman, and Robert R. Livingston were appointed as the Committee of Five to accomplish this. That same day, Congress decided to establish two other committees to develop the resolution’s last two parts. The following day, another committee of five (John Dickinson, Benjamin Franklin, John Adams, Benjamin Harrison V, and Robert Morris) was established to prepare a plan of treaties to be proposed to foreign powers; a third committee was created, consisting of one member from each colony, to prepare a draft of a constitution for confederation of the states. I would like all my readers born in the United States who joyously celebrate July 4th as Independence Day to read that statement over very carefully. The vote for independence came on July 2nd and in Adams’ mind that was the crucial date, not the 4th. July 2nd was the date he thought would go down in history. All that happened on July 4th was that the exact wording of the Declaration of Independence was approved by Congress after several changes to the document prepared by Thomas Jefferson had been made. Celebrating the 4th is the equivalent of celebrating the day that you approved the minutes of a previous meeting when the actual decisions were taken. The world-altering decision to declare independence was made on the 2nd not the 4th. 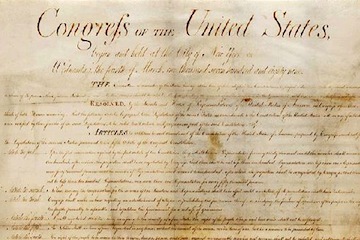 I guarantee that the great bulk of US citizens have no idea what is in the Declaration of Independence other than “Life, Liberty, and the Pursuit of Happiness” and “All men are created equal” and I know for a fact that many of them confuse the Declaration of Independence with the Constitution and the Bill of Rights. The Constitution of the United States was ratified by sufficient states to become law on June 21st, 1788, and came into effect on March 4th, 1789. The Bill of Rights was approved on September 25th, 1789, and ratified on December 15th, 1791. Thus, we have a welter of dates from the “shot heard round the world” in 1775 to the final agreement of how the new nation should be governed in 1791, and any or all of them could be marked as “significant” – 16 years of warfare and political strife out of which to choose one date: the date. July 4th got the nod. The actual historical significance of July 4th is lost on the vast majority of US citizens, never mind the fact that there are numerous dates that are equally important, or more important, in the nation’s history. July 4th is a good day to have parades and barbecues because it is the height of summer in North America. It’s not so good for fireworks because the date falls very close to the northern solstice when days are at their longest, and so you have to wait until 9 pm or later in many regions for it to be dark enough for them. I suppose the good aspect of all of this is that parades, barbecues, and fireworks can be strung out over a very long day without bumping into each other. For many years I was either a participant in parades as a firefighter or an observer of my son as a town musician (or just a general observer because I like parades). I went to civic fireworks almost every year wherever I lived because I love fireworks. I usually cooked out in my own back yard because I found the generic US barbecue inexpressibly dull. Hot dogs and hamburgers with cole slaw and potato salad on the side are depressingly universal. It’s true that charcoal-grilled hamburgers are miles better than commercial varieties, but they are still just hamburgers. People in the US eat millions upon millions of them at fast food joints every single day of the year. Why should they be seen as so utterly special for July 4th and why should millions of families across the country invest 100s of dollars in elaborate propane-fueled grills with lava rocks as the heating element to cook generic hamburgers as the big celebratory meal? Most of these highly average hamburgers are not even cooked over real charcoal. One memorable July 4th I showed my young son (around 7 years old at the time) how it was possible to cook breakfast, lunch, and dinner at our fire pit. He was captivated – especially with breakfast. I don’t eat standard Western “breakfast foods” (cereal, eggs, bacon, toast. etc.) for breakfast, first, because I eat only one meal a day, and it is rarely at what is the conventional “breakfast time,” and second, because if I do eat a meal at “breakfast time” it is almost never conventional “breakfast foods.” It is more usually soup or curry or whatever I have on hand. Back when my son was little, however, I did prepare him three meals per day, and his breakfasts were more conventional than mine. On this particular July 4th I used both my fire pit and my charcoal grill/smoker. First order of business was to make a big fire in the fire pit and let it burn down into hot coals. I showed my son how to make toast by finding a long stick, impaling some sliced bread, and toasting it over the coals. Meanwhile I heated one of our cast-iron skillets over the coals and cooked him bacon and eggs in much the same way as I would do at the stove. For lunch my son cooked some hot dogs on sticks (which he loved immensely), accompanied by my chili which I kept warm in a big pot over the fire. I made chili dogs in toasted buns for myself, but my son was content with charred hot dogs dipped in chili. After that, I showed him how to make ‘smores in the fire using sandwiches of graham crackers with chocolate and marshmallow, wrapped in heavy foil. For dinner I fired up my grill and made grilled chicken, marinated in a fiery sauce, plus assorted grilled vegetables including corn grilled in their own husks, followed by toasted marshmallows, which was probably my son’s favorite part. 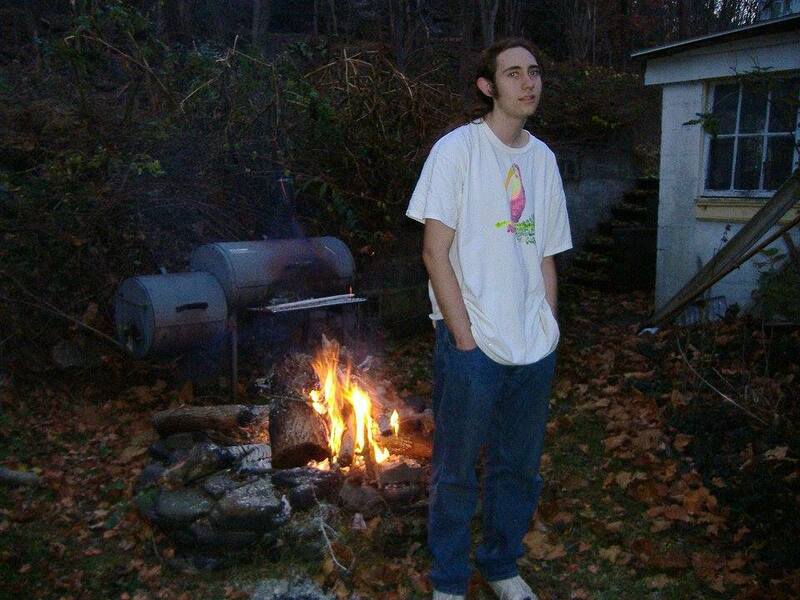 Ever after, whenever I lit a fire in the fire pit he toasted marshmallows, whether I cooked anything else on it or not. I don’t expect you to cook three meals today out in the open, although it’s worth a shot once in your life. I will make an earnest plea however: Cook ANYTHING other than hamburgers and hot dogs today !!! 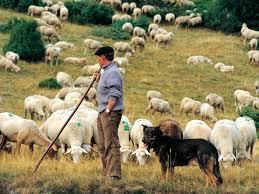 Cook steaks, pork chops, lamb chops, rabbit, goose, duck, quail, oysters, prawns, . . . anything. Save the hamburgers and hot dogs for the other 364 days of the year. Today is Constitution Day in the Republic of Seychelles, celebrating the ratification by referendum in 1993 of its current constitution. 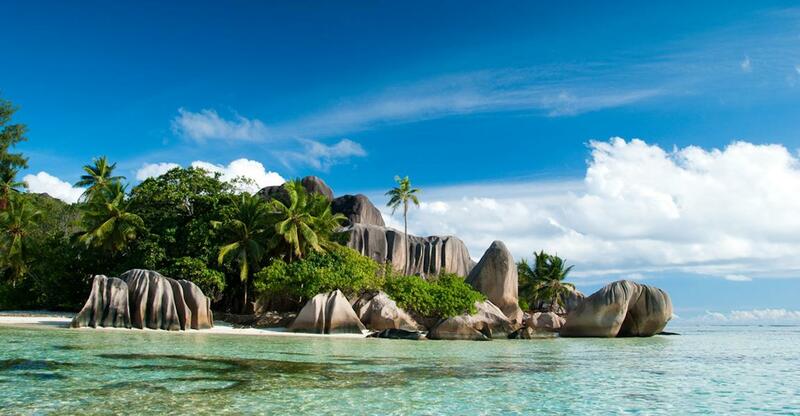 Seychelles is a sovereign state in the Indian Ocean made up of 115 islands whose capital is Victoria. Ir lies 1,500 kilometers (932 mi) east of mainland East Africa. Other nearby island countries and territories include Comoros, Mayotte, Madagascar, Réunion, and Mauritius to the south. With a population of roughly 94,228, it has the smallest population of any sovereign African country. 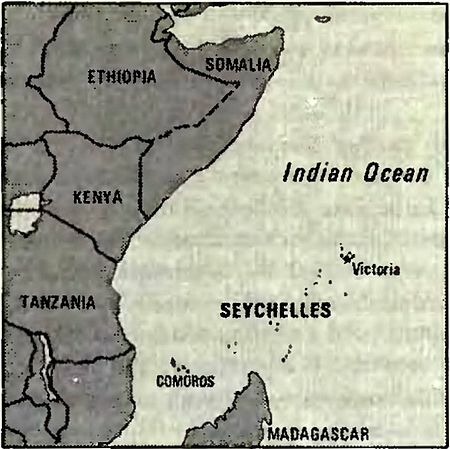 The Seychelles were uninhabited throughout most of recorded history. Some scholars assume that Austronesian seafarers and later Maldivian and Arab traders were the first to visit the uninhabited Seychelles. This assumption is based in part on the discovery of tombs which are no longer accessible. The earliest recorded sighting by Europeans took place in 1502 by Vasco da Gama, who passed through the Amirantes (an archipelago within the Seychelles) and named them after himself (islands of the Admiral). The earliest recorded landing was in January 1609, by the crew of the Ascension under captain Alexander Sharpeigh during the 4th voyage of the British East India Company. 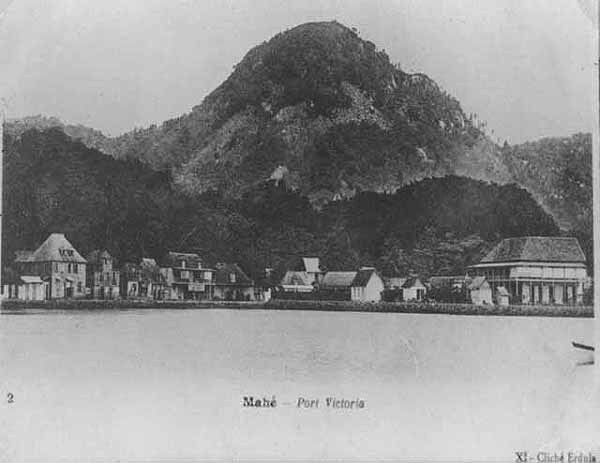 The Seychelles became a transit point for trade between Africa and Asia, and the islands were occasionally used by pirates until the French began to take control starting in 1756 when a Stone of Possession was laid on Mahé by Captain Nicholas Morphey. The islands were named after Jean Moreau de Séchelles, Louis XV’s Minister of Finance. The British controlled the islands between 1794 and 1810 during the Napoleonic Wars. Jean Baptiste Quéau de Quincy, French administrator of Seychelles during the years of war with the United Kingdom, declined to resist when armed enemy warships arrived. Instead, he successfully negotiated the status of capitulation to Britain which gave the settlers a privileged position of neutrality. Britain eventually assumed full control upon the surrender of Mauritius in 1810, formalized in 1814 at the Treaty of Paris. Seychelles became a crown colony separate from Mauritius in 1903. Independence was granted in 1976 as a republic within the Commonwealth. In 1977, a coup d’état by France Albert René ousted the first president of the republic, James Mancham. René discouraged over-dependence on tourism and declared that he wanted “to keep the Seychelles for the Seychellois.” The 1979 constitution declared a socialist one-party state, which lasted until 1991. 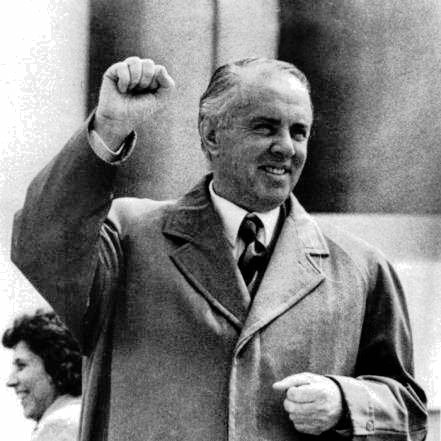 In the 1980s there were a series of coup attempts against President René, some of which were supported by South Africa. In 1981, Mike Hoare led a team of 43 South African mercenaries masquerading as holidaying rugby players in the 1981 Seychelles coup d’état attempt. There was a gun battle at the airport, and most of the mercenaries later escaped in a hijacked Air India plane. The leader of this hijacking was German mercenary D. Clodo, a former member of the Rhodesian SAS. Clodo later stood trial in South Africa (where he was acquitted) as well as in his home country Germany for air-piracy. In 1986, an attempted coup led by the Seychelles Minister of Defence, Ogilvy Berlouis, caused President René to request assistance from India. In Operation Flowers are Blooming, the Indian naval vessel INS Vindhyagiri arrived in Port Victoria to help avert the coup. The first draft of a new constitution failed to receive the requisite 60% of voters in 1992, but an amended version was approved in 1993. Seychelles was in the news in the US recently because of a secretly arranged meeting there between members of the Trump Administration and surrogates to form a secret back channel between Russia and the White House. The Seychelles are sufficiently remote to be off the radar of mainstream media. In the 1970s when the Seychelles opened an international airport, the islands became an international jet set destination, and tourism has been a major source of income ever since, essentially dividing the economy into plantations and tourism. The tourism sector paid better, and the plantation economy could only expand so far. Thus the plantation sector of the economy declined in prominence, and tourism became the primary industry of Seychelles. In recent years the government has encouraged foreign investment to upgrade hotels and other services. Despite its growth, the vulnerability of the tourist sector was illustrated by the sharp drop in 1991–1992 due largely to the Gulf War. 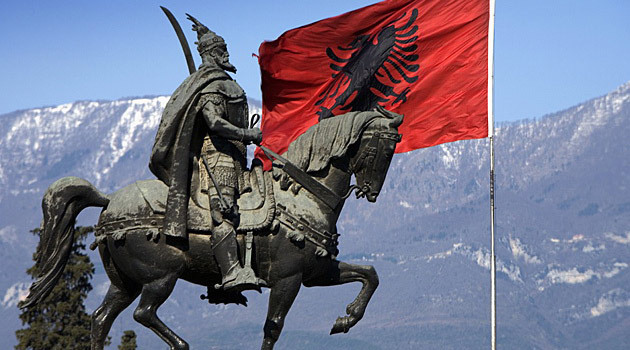 Since then the government has moved to reduce the dependence on tourism by promoting the development of farming, fishing, small-scale manufacturing and most recently the offshore financial sector, through the establishment of the Financial Services Authority and the enactment of several pieces of legislation. 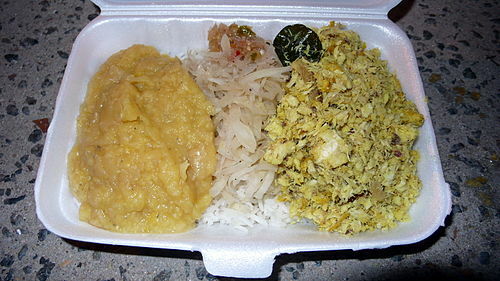 Breadfruit is a staple on the Seychelles, and folklore, repeated in different places in different parts of the world I have visited (concerning a local product), says that if you eat a dish of breadfruit cooked on the Seychelles, you will return. 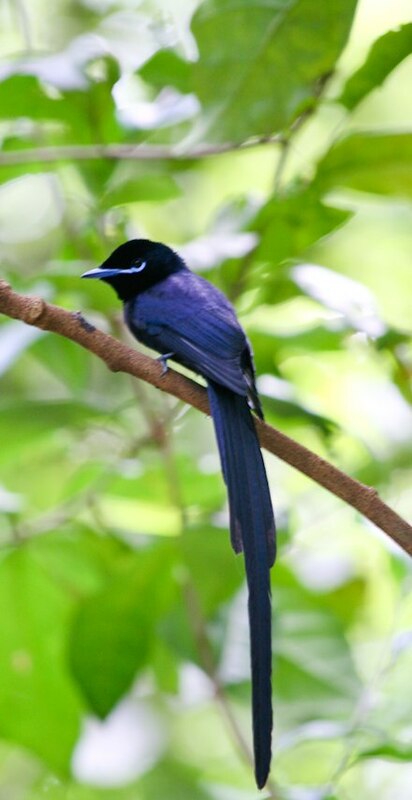 I rambled on about cooking breadfruit here http://www.bookofdaystales.com/mutiny-bounty/ Another delicacy on the islands is curried fruit bat. There’s also shark chutney, which is not a chutney in the Indian sense, but a main dish. I can describe how these dishes are made, but I have never had them (nor visited the Seychelles), so my descriptions will be rather generic. 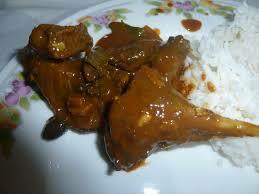 Fruit bats are first boiled until tender, skinned and jointed, and then simmered in a curry sauce. Shark chutney is made by boiling skinned shark, mashing it well, and then simmering it with squeezed bilimbi juice and lime. This in turn is mixed with fried onion, pepper, salt and turmeric, and served with rice and lentils. Today marks the anniversary of the battles of Lexington and Concord in 1775, the first engagements in the war for independence of the North American colonies of Great Britain. 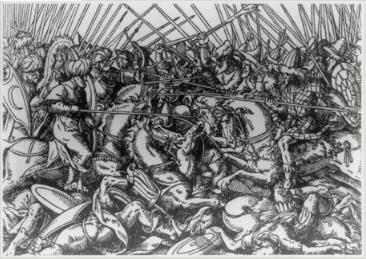 As ever, I’m not interested in hailing the battles per se, nor in offering detailed analysis of the battles. There are plenty of other sources for that. I do want to point out 2 issues, however: one minor, one major. First the minor one. July 4th 1776 is celebrated as Independence Day in the US, but celebrating independence on ONE DAY – especially that date – is beguiling in the extreme. The war for independence lasted from 1775 to 1783, and the fate of the colonies hung in the balance for most of that time. A simple declaration of independence was important politically, of course, but it did not do anything to further the actual cause of independence. July 4th is a token and the year 1776 was no more, or less, important than any other year in the late 18th century for the United States. For me, 1791 is a far more important year in US history, which brings me to my major issue. On 30th December 1791 George Washington informed Congress that Amendments 1 to 10 to the Constitution (of 12 proposed) had been ratified by the requisite number of states and were enshrined as the Bill of Rights. Of these 10 the 2nd is the one I want to focus on, and I do it on this date because it is pertinent to what happened at Lexington and Concord. The Battles of Lexington and Concord were the first military engagements of the American Revolutionary War fought on April 19, 1775, in Middlesex County, Province of Massachusetts Bay, within the towns of Lexington, Concord, Lincoln, Menotomy (present-day Arlington), and Cambridge, near Boston and marked the outbreak of open armed conflict between the Kingdom of Great Britain and thirteen of its colonies on the mainland of British America. In late 1774 the Suffolk Resolves were adopted to resist the enforcement of the alterations made to the Massachusetts colonial government by the British parliament following the Boston Tea Party. 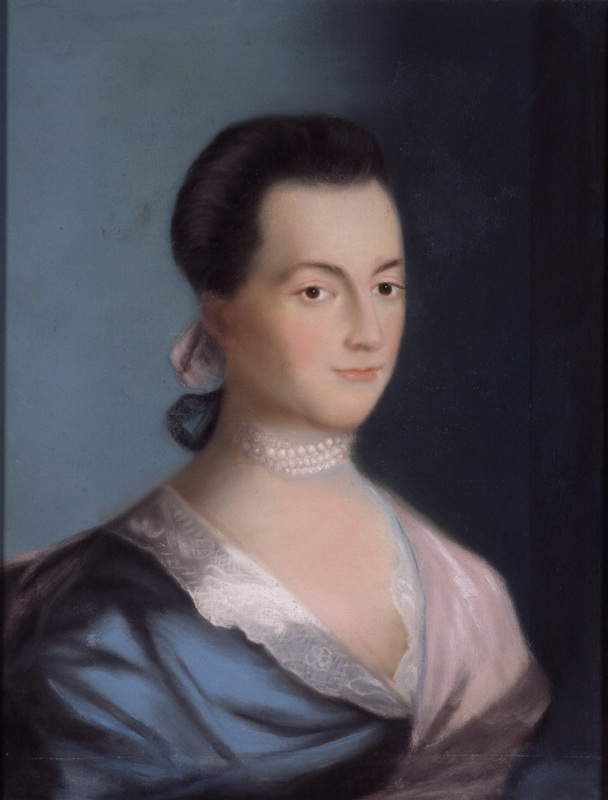 The colonial assembly responded by forming a Patriot provisional government known as the Massachusetts Provincial Congress and calling for local militias to train for possible hostilities. The rebel government exercised effective control of the colony outside of British-controlled Boston. In response, the British government in February 1775 declared Massachusetts to be in a state of rebellion. 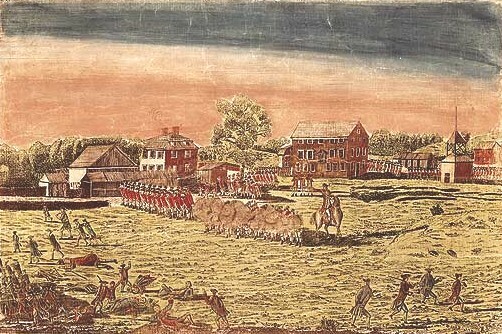 About 700 British Army regulars in Boston, under Lieutenant Colonel Francis Smith, were given secret orders to capture and destroy rebel military supplies reportedly stored by the Massachusetts militia at Concord. Through effective intelligence gathering, Patriot colonials had received word weeks before the expedition that their supplies might be at risk and had moved most of them to other locations. They also received details about British plans on the night before the battle and were able to rapidly notify the area militias of the British expedition. The first shots were fired just as the sun was rising at Lexington. The militia were outnumbered and fell back, and the regulars proceeded on to Concord, where they broke apart into companies to search for the supplies. At the North Bridge in Concord, approximately 400 militiamen engaged 100 regulars from three companies of the King’s troops at about 11:00 am, resulting in casualties on both sides. The outnumbered regulars fell back from the bridge and rejoined the main body of British forces in Concord. 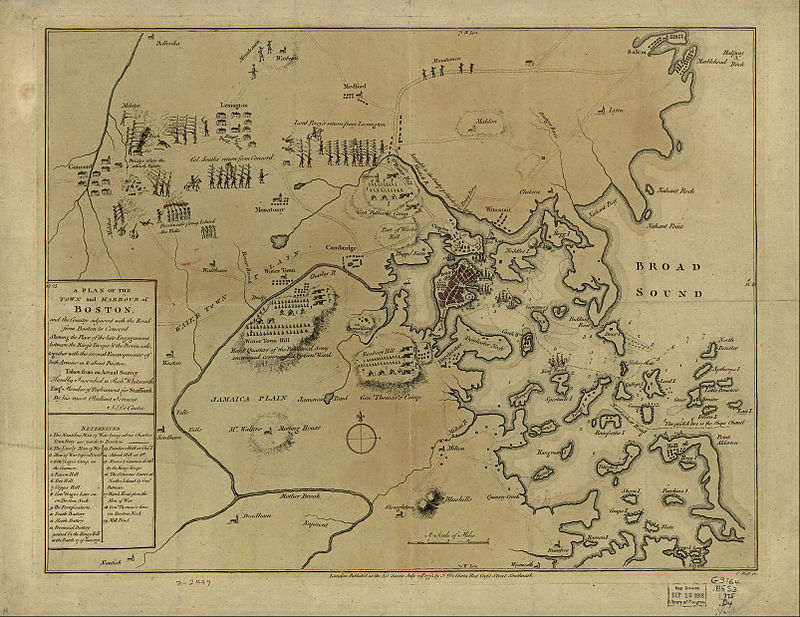 The British forces began their return march to Boston after completing their search for military supplies, and more militiamen continued to arrive from neighboring towns. Gunfire erupted again between the two sides and continued throughout the day as the regulars marched back towards Boston. Upon returning to Lexington, Lt. Col. Smith’s expedition was rescued by reinforcements under Brigadier General Hugh Percy, a future duke of Northumberland known as Earl Percy. The combined force, now of about 1,700 men, marched back to Boston under heavy fire in a tactical withdrawal and eventually reached the safety of Charlestown. The accumulated militias blockaded the narrow land accesses to Charlestown and Boston, starting the Siege of Boston. Ralph Waldo Emerson, in his “Concord Hymn”, described the first shot fired by the Patriots at the North Bridge as the “shot heard round the world”. Both the people of the US and the Supreme Court argue endlessly about the wording of the Amendment, but the intent seems quite clear to me. The initial clause about militias tends to be treated as a useless frill by those who want to walk around the streets armed to the teeth, but to my mind it is monumentally important. The Constitution and the Bill of Rights were framed in the shadow of a war for independence that could not have begun without armed militias – as at Lexington and Concord. The 2nd Amendment was, in part, modelled on legislation enacted in Britain in the wake of the Glorious Revolution. I know, I know, this all gets murky quickly and I am not a lawyer. The Supreme Court goes over this ground repeatedly. Many argue that the “ancient right” to possess a weapon stems from the Right to Life which allows people the right to self defense, that is, the right to own a weapon to defend yourself against mortal attack. I get it. But the text of the 2nd Amendment is crystal clear. The right to bear arms exists in the context of militias raised to defend against tyranny. Furthermore, the Amendment speaks of the right to BEAR arms, not to OWN them. This is not some semantic quibble; it’s a critical point. There’s a vast difference between being able to go to a well-stocked armory in the town to pick up a weapon to assist a militia and having a private arsenal in one’s home. I won’t belabor the point. It’s been made numerous times before to no avail. I’ll pick up pots and pans instead. 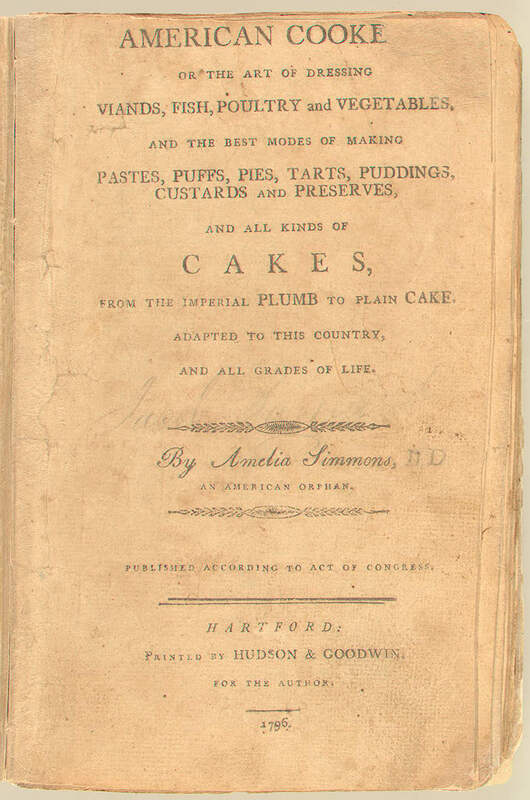 To make a fine Syllabub from the Cow. Sweeten a quart of cyder with double refined sugar, grate nutmeg into it, then milk your cow into your liquor, when you have thus added what quantity of milk you think proper, pour half a pint or more, in proportion to the quantity of syllabub you make, of the sweetest cream you can get all over it. Sure, I’ll just hop out to the barn and milk Betsy into my cooking pot. Or . 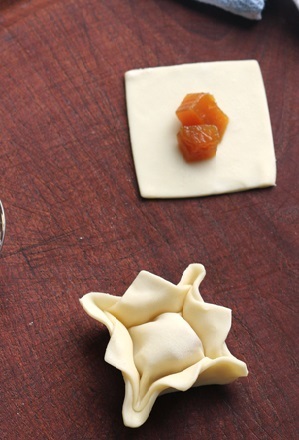 . . how about the quantities for puff pastry number 2? No. 1. Rub one pound of butter into one pound of flour, whip 2 whites and add with cold water and one yolk; make into paste, roll in in six or seven times one pound of butter, flowring it each roll. This is good for any small thing. No. 2. Rub six pound of butter into fourteen pound of flour, eight eggs, add cold water, make a stiff paste. I can’t provide a modern recipe right now because I can’t get hold of either turkey or oysters at present. Oyster stuffing for roast turkey is still a staple in the rural South, but this recipe is more basic – just turkey and oysters. I’ll try it out when I get the chance. Today is one of two national days of independence in Argentina. 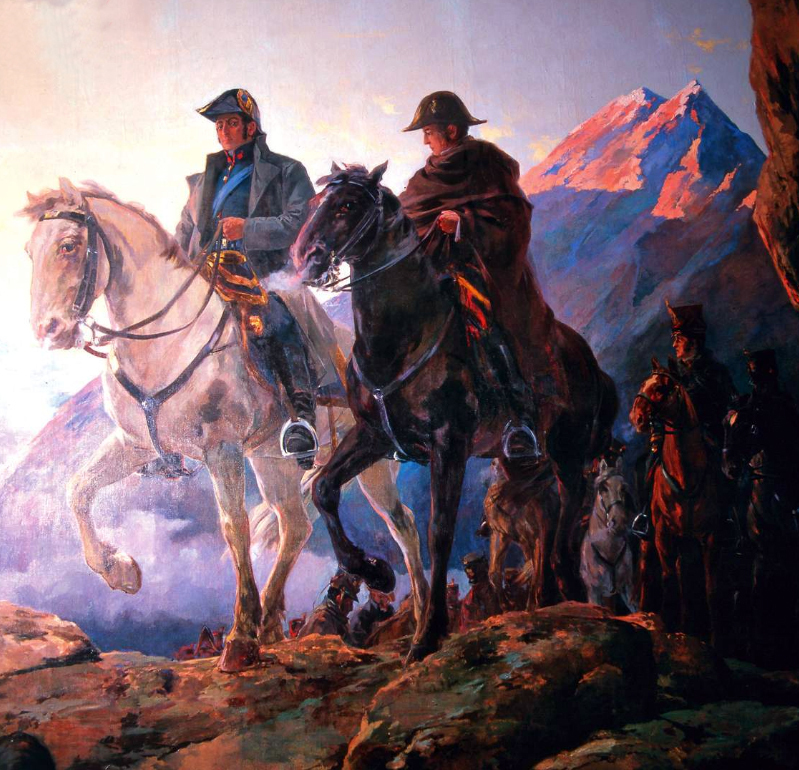 I have already covered the main events of 25 de Mayo here http://www.bookofdaystales.com/216/ The May Revolution of 1810 initiated the independence movement, but what followed was a bloody century in Argentina and throughout South America. First there were the wars of independence with Spain, followed by various internecine wars in South America to carve out national territories from the former vice royalties of Spain, coupled with civil wars inside Argentina between the forces in favor of federalism along the lines of the USA (Federales), and those who wanted a centralized government in Buenos Aires (Unitarios). Internal strife within Argentina did not end until 1880. War with foreign nations, especially Britain (seeking to colonize Argentina after independence from Spain), dribbled on mid-century. The 19th century in Argentina was an incredibly bloody and contentious century, that eventually forged the modern nation, the events of which are commemorated publicly, and drilled into the heads of all school children from an early age. It is reasonable to argue, I think, that the horrendous blood letting of the 19th century led to a pacifist 20th century in Argentina, with no external wars excepting the Malvinas conflict, which was trumped up by the generals to bolster their fading hold on power during the Dirty War. The Malvinas are the last vestige of 19th century British colonialism in the region, still a major sore spot in Argentine national consciousness. In the early decades of the 19th century following independence, various efforts were made to draft national constitutions for Argentina. The Argentine Constitution of 1819 was drafted by the Congress of Tucumán and promulgated on this date because it was the anniversary of the May Revolution. It was promoted by Buenos Aires but rejected by the other provinces and did not come into force. 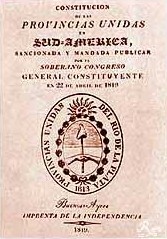 The Congress of Tucumán had moved to Buenos Aires, after having issued the Argentine Declaration of Independence in San Miguel de Tucumán (9 July 1816). The draft constitution of 1819 was based on the current laws ruling the United Provinces of the Río de la Plata, as well as in foreign constitutions such as those of the US, France, and Spain. It was written by José Mariano Serrano, Diego Estanislao Zavaleta, Teodoro Sánchez de Bustamante, Juan José Paso and Antonio Sáenz. The Constitution set the separation of powers into three distinct branches, with the executive power to be held by a “Supreme Director,” who would be elected by a majority of a Joint Session of Congress, and who would serve a 5-year term. Under the form of government established in 1814, the executive power had been exercised by the Supreme Director of the United Provinces of the Río de la Plata, but there had been attempts to crown a Bourbon as King of the United Provinces. He would have had the authority to designate the governors of the provinces. The legislative power was meant to be exercised by two chambers; one of Senators, the other of deputies. Besides a fixed number of Senators per province, the chamber of Senators would also be composed by three military officers (colonel or higher), one bishop, three clergymen, a representative of each University, and the former Supreme Director. Both senators and deputies had to show evidence of an estate of $8000 and $4000 respectively. 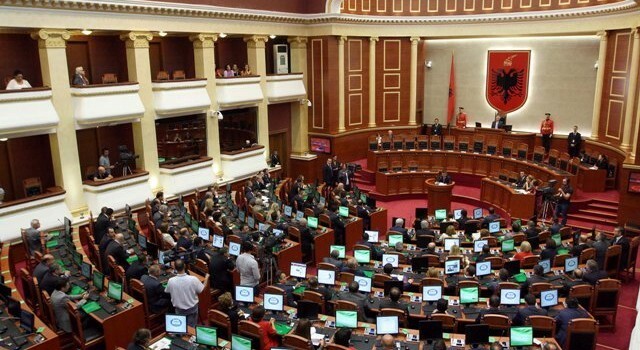 The chamber of deputies was to have the initiative in issues related to taxes. The constitution was promulgated on May 25, 1819. It was immediately rejected by the provinces, which then waged war against the Supreme Directorship. The national armies that were fighting the War of Independence refused to fight a civil war, so the diminished troops of Supreme Director José Rondeau were defeated in February 1820 at the Battle of Cepeda. The 1819 Constitution was subsequently repealed to be followed by a new constitution in 1826. And so on . . .
On this date, Argentinos celebrate the events of the May Revolution with locro and pastelitos de 25 de Mayo which I have described at length in other posts. Both are classics of Argentine cuisine. Today I will probably make something resembling picada, a classic Argentine between-meals snack which can also serve as a light meal. 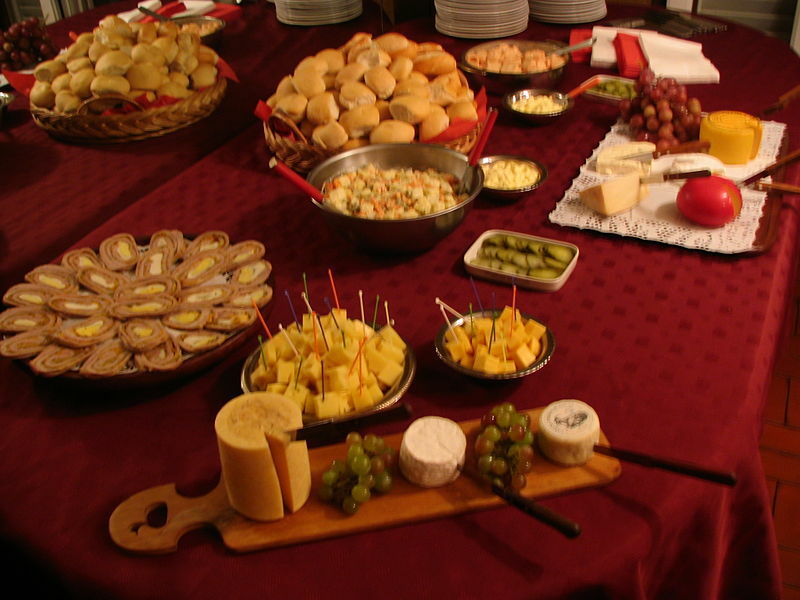 It is influenced by the Italian antipasto, but in Argentina it consists of local products such as matambre, cheeses, and cured meats. Breakfast in Argentina is usually mate plus some pastries and the evening meal often does not start until 9pm or later. Lunch can be heavy, followed by a siesta (a grand tradition I follow), so something relatively substantial is necessary to fill the gaps. I have no chance of finding Argentine sausages and cheeses in Italy, so I will have to make do – you will too if you want to celebrate the day outside of Argentina. I will, at least, be able to drink mate (which I do every day), but, sadly will have no one to share with me. This is the tragedy of my current life. My friends keep reminding me: “Juan – se tiene que compartir los mates !! !” YA ENTIENDO !!! Voy a volver, eventualmente hermanos. The Constitution of the Cook Islands took effect on this date in 1965, when they became a self-governing territory in free association with New Zealand. The anniversary of these events in 1965 is commemorated annually on Constitution Day, with week-long activities known as Te Maevea Nui Celebrations locally. 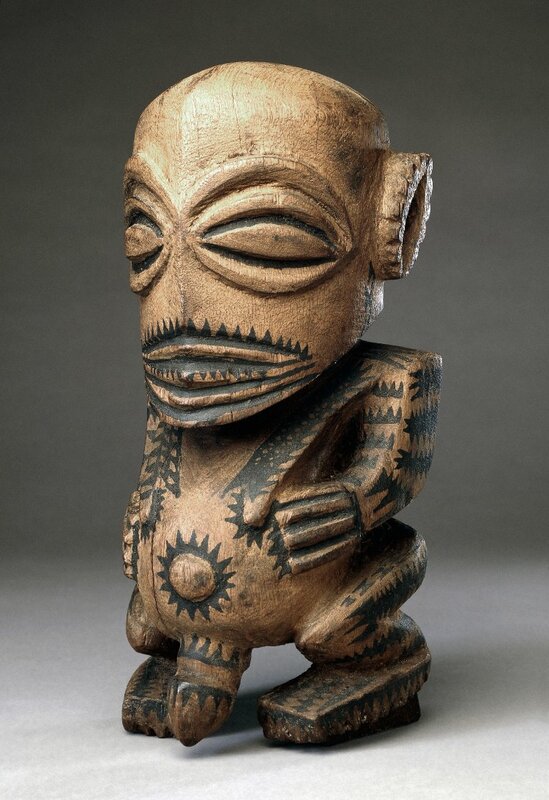 The Cook Islands were first settled in the late 6th century by Polynesian people who migrated from Tahiti, 1154 km to the northeast of Cook Islands. Spanish ships visited the islands in the 16th century; the first written record of contact with the islands came with the sighting of Pukapuka by Spanish sailor Álvaro de Mendaña de Neira in 1595 who called it San Bernardo. Pedro Fernandes de Queirós, a Portuguese captain working for the Spanish crown, made the first recorded European landing in the islands when he set foot on Rakahanga in 1606, calling it Gente Hermosa (Beautiful People). 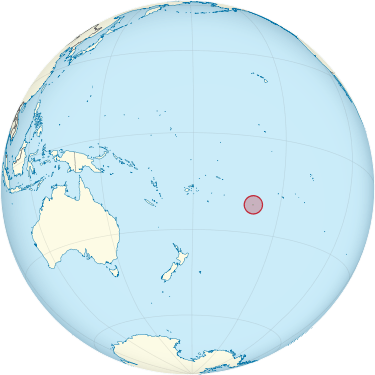 British navigator Captain James Cook arrived in 1773 and 1777 and named the islands the Hervey Islands; the name “Cook Islands”, in honor of Cook, appeared on a Russian naval chart published in the 1820s. In 1813 John Williams, a missionary on the Endeavour (not the same ship as Cook’s) made the first recorded sighting of Rarotonga. The first recorded landing on Rarotonga by Europeans was in 1814 by the Cumberland; trouble broke out between the sailors and the Islanders and many were killed on both sides. The islands saw no more Europeans until missionaries arrived from England in 1821. Christianity quickly took hold in the culture and many islanders continue to be Christian. 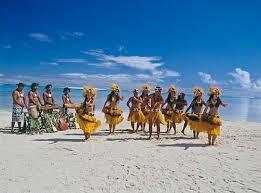 The Cook Islands became a British protectorate in 1888, due largely to community fears that France might occupy the territory as it had Tahiti. 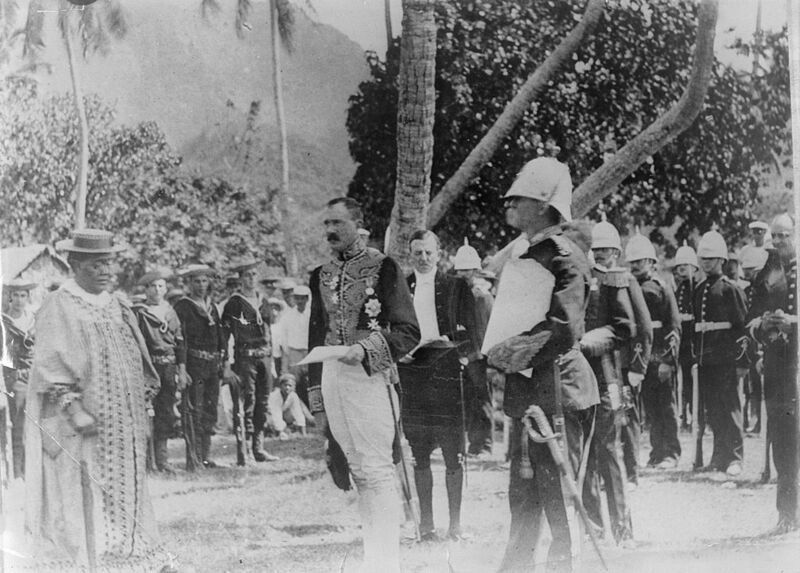 On 6 September 1900, the leading islanders presented a petition asking that the islands (including Niue “if possible”) should be annexed as British territory. 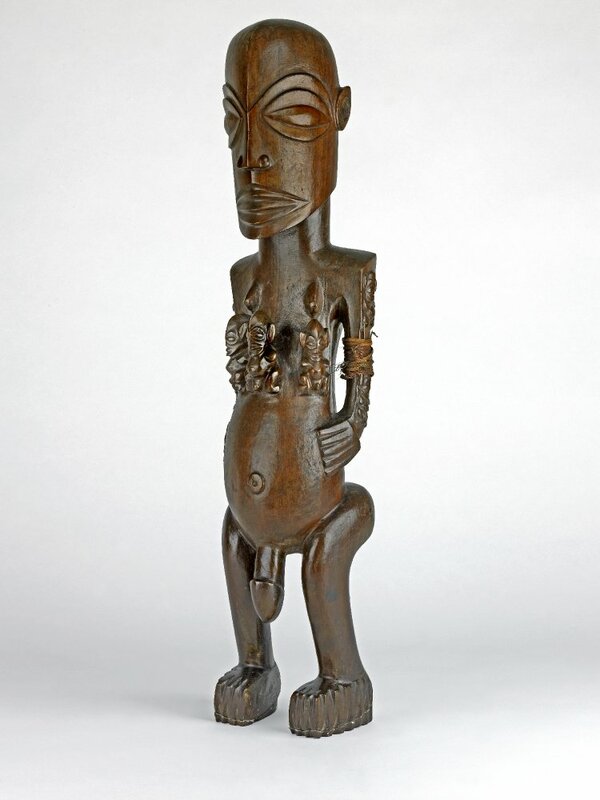 On 8–9 October 1900 seven instruments of cession of Rarotonga and other islands were signed by their chiefs and people; and by a British Proclamation issued at the same time the cessions were accepted. These instruments did not include Aitutaki. It appears that, though the inhabitants regarded themselves as British subjects, the Crown’s title was uncertain, and the island was formally annexed by Proclamation dated 9 October 1900. The islands were included within the boundaries of the Colony of New Zealand in 1901 by Order in Council under the Colonial Boundaries Act, 1895 of the United Kingdom. 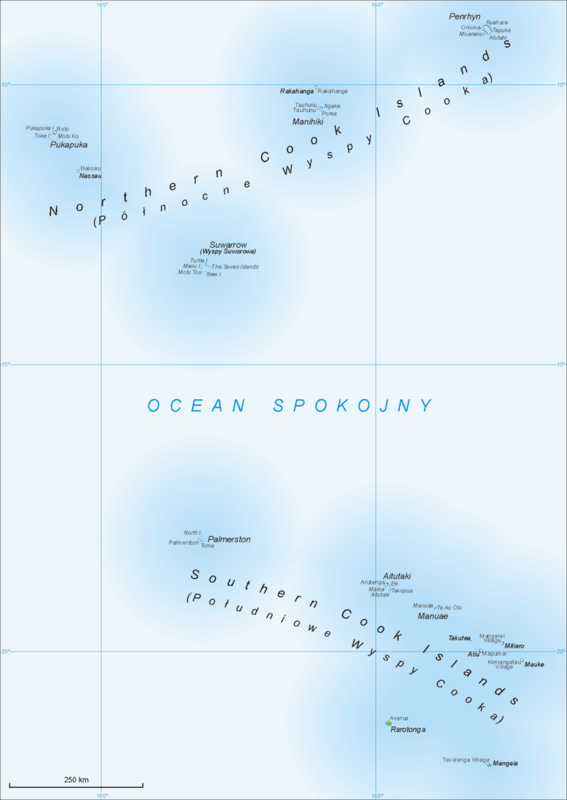 The boundary change became effective on 11 June 1901 and the Cook Islands have had a formal relationship with New Zealand ever since. When the British Nationality and New Zealand Citizenship Act 1948 came into effect on 1 January 1949, Cook Islanders who were British subjects gained New Zealand citizenship. 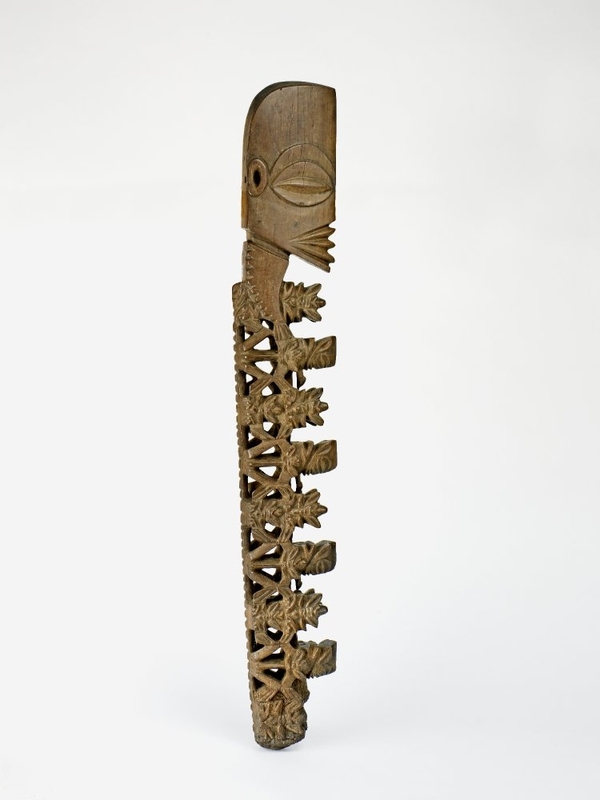 The country remained a New Zealand dependent territory until 1965, when the New Zealand Government decided to offer self-governing status to Cook Islanders. In that year, Albert Henry of the Cook Islands Party was elected as the first Premier. Henry led the country until he was accused of vote-rigging. He was succeeded in 1978 by Tom Davis of the Democratic Party. Due to the island location and the fact that the Cook Islands produce a significant array of fruits and vegetables, natural local produce, especially coconut, features in many of the dishes of the islands as does fresh seafood. While most food is imported from New Zealand, there are several Growers’ Associations, which provide produce for local cuisine. Typical local cuisine includes arrowroot, clams, octopus, and taro, and seasonings such as fresh ginger, lime, lemon, basil, garlic and coconut, and the local dishes share much in common with the rest of Polynesia. 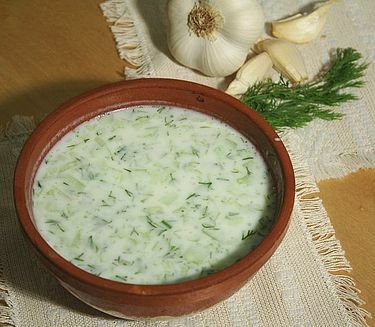 Rukau is a dish of taro leaves cooked with coconut sauce and onion. A meal of octopus is known locally as Eke, and suckling pig is known as Puaka. Ika mata is a dish of raw fish marinated with lemon or lime and served with coconut cream – rather like a Polynesian ceviche. Poke is not technically a dessert although it can be eaten as such. 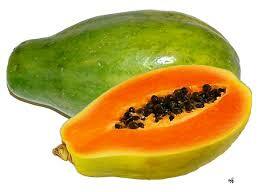 It is commonly made in one of two ways, either with banana and coconut milk or with pawpaw (papaya), but any tropical fruit will work. It is essentially mashed, poached fruit – commonly banana – hand mixed with double the amount of fruit of arrowroot starch, baked, and then served with warmed fresh coconut cream. Arrowroot is rather expensive to buy in supermarkets but you can get it online in fairly large quantities. Some cooks add sugar because it can be a bit bland for Western tastes without it. On the other hand, unsweetened poke is a good addition to a main meal of steamed or baked fish. Papaya and fresh coconut are available more or less anywhere in the world these days, so you could make a simple island breakfast by halving a papaya, scraping out the seeds and filling the center with shaved coconut. Delicious. Today is Constitution Day in Andorra, officially the Principality of Andorra (Catalan: Principat d’Andorra), also called the Principality of the Valleys of Andorra (Catalan: Principat de les Valls d’Andorra), a landlocked microstate in Southwestern Europe, located in the eastern Pyrenees and bordered by Spain and France. 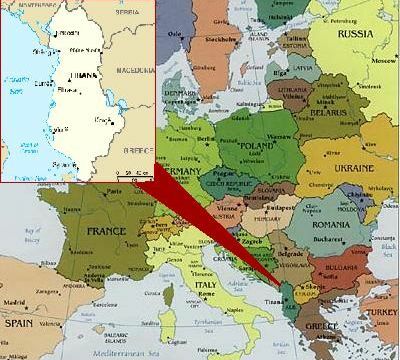 It is the sixth smallest nation in Europe, having an area of 468 km2 (181 sq mi) and an estimated population of 85,000 in 2012. Its capital, Andorra la Vella, is the highest capital city in Europe, at an elevation of 1,023 meters (3,356 ft) above sea level. The official language is Catalan, although Spanish, Portuguese, and French are also commonly spoken. Created under a charter in 988, the present Principality was formed in 1278. It is known as a principality as it is a monarchy headed by two Co-Princes – the Spanish/Roman Catholic Bishop of Urgell and the President of France/President of the French Republic.Tradition holds that Charles the Great (Charlemagne) granted a charter to the Andorran people in return for fighting against the Moors. Overlordship of the territory was by the Count of Urgell and eventually by the bishop of the Diocese of Urgell. In 988, Borrell II, Count of Urgell, gave the Andorran valleys to the Diocese of Urgell in exchange for land in Cerdanya. 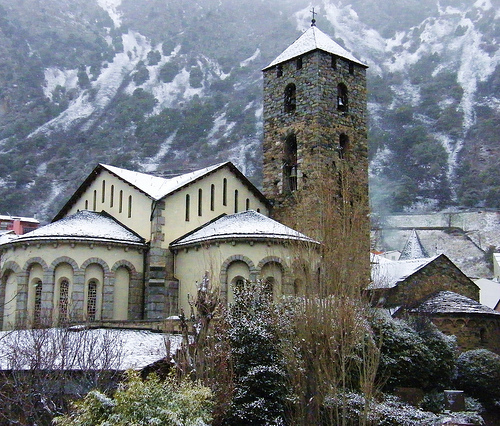 Since then the Bishop of Urgell, based in Seu d’Urgell, has owned Andorra. Before 1095, Andorra did not have any type of military protection and the Bishop of Urgell, who knew that the Count of Urgell wanted to reclaim the Andorran valleys, asked for help and protection from the Lord of Caboet. In 1095, the Lord of Caboet and the Bishop of Urgell signed under oath a declaration of their co-sovereignty over Andorra. Arnalda, daughter of Arnau of Caboet, married the Viscount of Castellbò and both became Viscounts of Castellbò and Cerdanya. Years later their daughter, Ermessenda, married Roger Bernat II, the French Count of Foix. They became Roger Bernat II and Ermessenda I, Counts of Foix, Viscounts of Castellbò and Cerdanya, and co-sovereigns of Andorra (shared with the Bishop of Urgell). In the 11th century, a dispute arose between the Bishop of Urgell and the Count of Foix. The conflict was resolved in 1278 with the mediation of Aragon by the signing of the first paréage which provided that Andorra’s sovereignty be shared between the count of Foix (whose title would ultimately transfer to the French head of state) and the Bishop of Urgell, in Catalonia. This gave the principality its territory and political form. Over the years, the co-title to Andorra passed to the kings of Navarre. After Henry of Navarre became King Henry IV of France, he issued an edict in 1607 that established the head of the French state and the Bishop of Urgell as co-princes of Andorra. In 1812–13, the First French Empire annexed Catalonia and divided it in four départements, with Andorra being made part of the district of Puigcerdà (département of Sègre). Andorra declared war on Imperial Germany during World War I, but did not actually take part in the fighting. It remained in an official state of belligerency until 1939 as it was not included in the Treaty of Versailles. 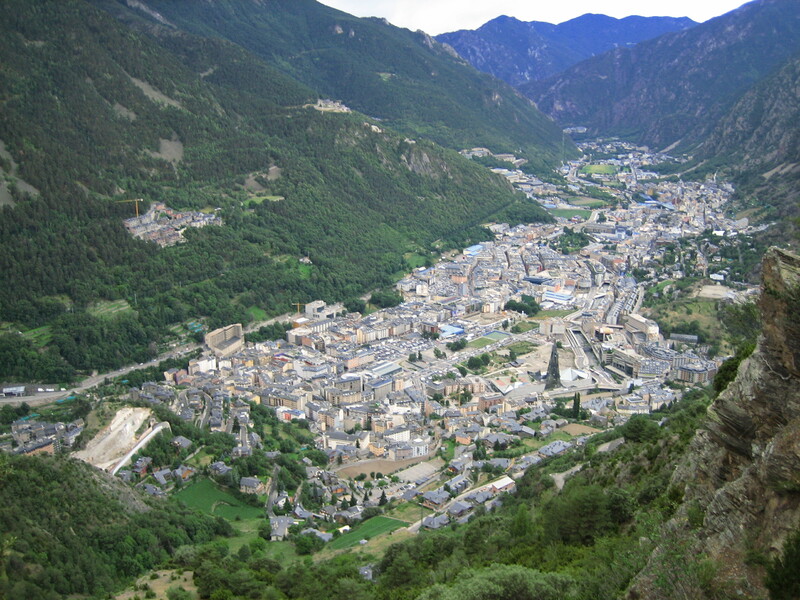 In 1933, France occupied Andorra as a result of social unrest before elections. On 12 July 1934, adventurer Boris Skossyreff issued a proclamation in Urgell, declaring himself “Boris I, King of Andorra”, simultaneously declaring war on the Bishop of Urgell. He was arrested by Spanish authorities on 20 July and ultimately expelled from Spain. From 1936 to 1940, a French detachment was garrisoned in Andorra to act as a buffer to protect the state from the influences of the Spanish Civil War and Francoist Spain. Francoist troops reached the Andorran border in the later stages of the war. 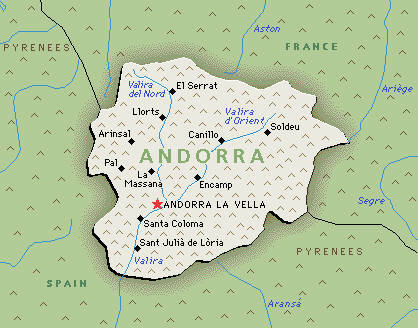 During World War II, Andorra remained neutral and was an important smuggling route between Vichy France and Spain. 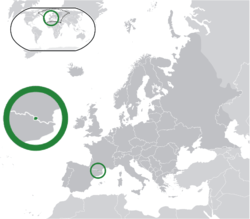 Given its relative isolation, Andorra has existed outside the mainstream of European history, with few ties to countries other than France, Spain and Portugal. In recent times, however, its thriving tourist industry along with developments in transport and communications have lessened its isolation. Its political system was modernized in 1993, when it became a member of the United Nations and the Council of Europe. 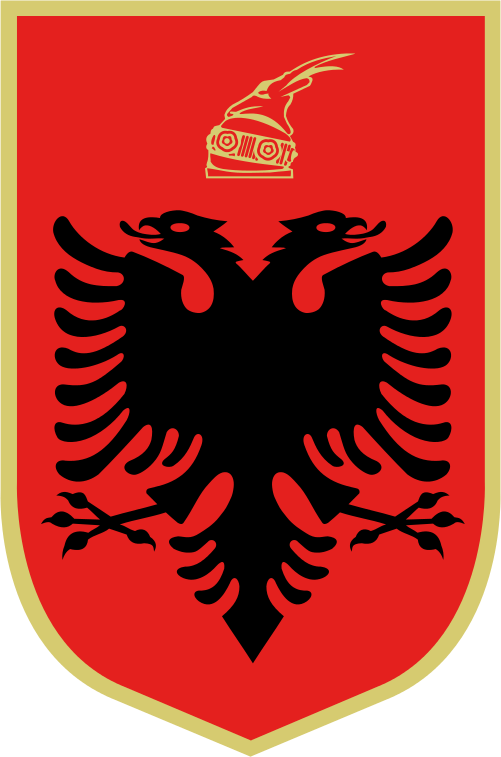 Andorra has a small army, which has historically been raised or reconstituted at various dates, but has never in modern times amounted to a standing army. The basic principle of Andorran defense is that all able-bodied men between 21 and 60 should be available to fight if called upon by the sounding of the Sometent (alarm), and all heads of household are required to keep a rifle. Being a landlocked country, Andorra has no navy. In the modern era, the army has consisted of a very small body of volunteers willing to undertake ceremonial duties. Uniforms were handed down from generation to generation within families and communities. Despite not being involved in any fighting, Andorra was technically the longest combatant in the First World War, as the country was left out of the Versailles Peace Conference, and technically remained at war with Germany from 1914 until 1939. The Constitution of Andorra is the supreme law of the Principality of Andorra. It was adopted on 2 February 1993 and given assent by the Andorran people in a referendum on 14 March 1993. According to the Constitution itself, it was to enter into force the day of its publication in the Butlletí Oficial del Principat d’Andorra, which occurred on 28 April 1993. Due to the fact that Andorra is between France and Spain, Andorran food is mainly Catalan. The cuisine in Andorra also combines French and Italian food. Pasta, meat, fish and vegetables are the main ingredients for every meal. In the northern region of Andorra French and Italian food is more popular using more pasta, cheese, bread and fish; while in the southern region Catalan influences are more common. Local dishes include ‘Trinxat‘ made of Bacon, cabbage and potatoes; ‘Cunillo‘ which is rabbit stewed in tomato sauce;’ Xai’ which is actually roasted Lamb; ‘Coques’ are flavored flat cakes and ‘Truites de Carreroles’ which is actually a mushroom omelet flavored with tarragon. Cuisine in Andorra also include sausages, cheese, and a large variety of pork and ham dishes and a variety of vegetables. As in Spain in general, meat predominates. I love rabbit, but cannot get it very often. Nonetheless here is cunillo. Wash the rabbit and rub with a little vinegar, then joint and cut into about 15 serving pieces. Add olive oil to the base of a large cast iron casserole dish and sauté the rabbit in this until nicely browned. Now add the garlic, onion, and tomatoes to the pan and sauté gently for about 5 minutes before adding the bay leaf, thyme and, oregano. Now add the white wine and increase the heat so the mixture comes to a boil. Reduce the volume by about half then add the rabbit and season. 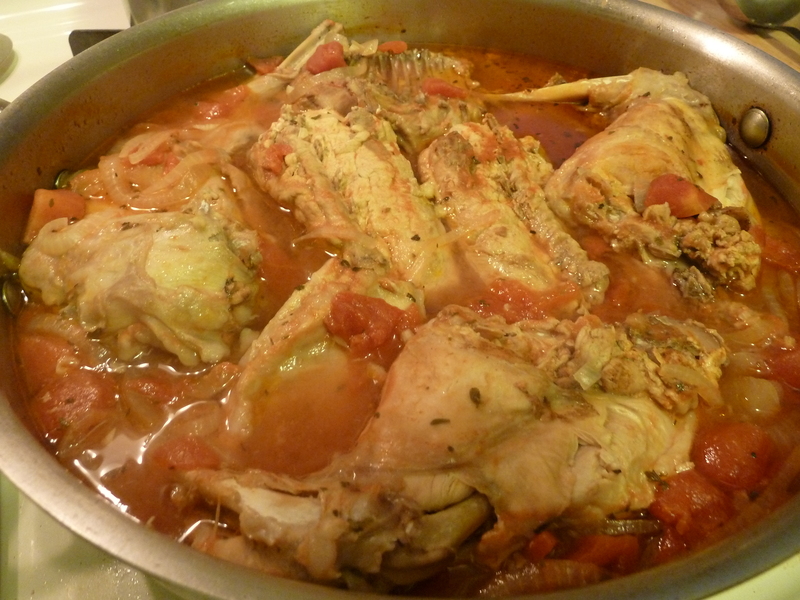 Reduce to a simmer, cover securely and cook gently for about 90 minutes, or until the rabbit is tender.